Twinkies, Ho Hos and Wonder Bread are up for sale now that a bankruptcy judge cleared the way for Hostess Brands Inc. to fire its 18,500 workers and wind down its operations. A last-ditch effort to end a strike with Hostess' bakers union failed Tuesday night and Judge Robert Drain on Wednesday approved the company's request to shut down its business and sell the pieces to the highest bidder. Hostess lawyers told Drain that they needed to begin the liquidation process quickly to take advantage of a surge in outside interest in its brands, which in addition to its namesake include Nature's Pride, Dolly Madison and Drake's. 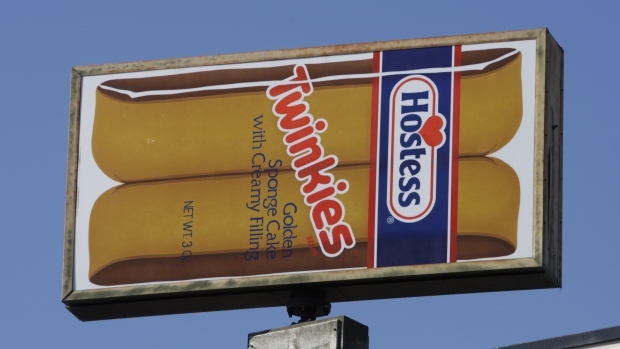 End of an era for Twinkies? EDMONTON, ALBERTA -- (Marketwire) -- 11/14/12 -- Innovations in gluten-free food products will bring new choices for consumers and new opportunities for farmers. The Honourable Laurie Hawn, Member of Parliament for Edmonton-Centre, on behalf of Agriculture Minister Gerry Ritz, announced today an investment in Kinnikinnick Foods Inc. (Kinnikinnick) to help them meet growing consumer demand for the next generation of gluten-free products. Does the Smell Of Fresh Baked Bread Make Us Kinder To Strangers? For nearly a decade, the biggest buzz in packaging has been the move toward sustainability, or “green” packaging. Driven by retailer requirements, public perception, economic pressures (petroleum, in particular), and government policies, sustainability impacts every aspect of a package—from the source of its raw materials to its end of life—and as such has proven to be an incredibly complex issue.